For whatever reason the ceremony time was set for 3.30 in the afternoon it turned out to be the right one. 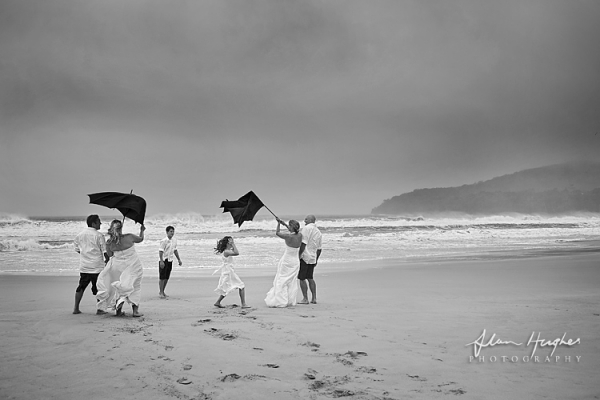 A half hour or hour earlier the decision to switch to the Noosa Riverboat might not have been made (I did happen across another Noosa wedding photographer who was drenched as her wedding was at 3pm on the beach in the middle of the downpour). My philosophy is that whatever happens happens and things usually work out in the end..and so they did. First Class Functions did an amazing job of turning the river boat into a floating chapel and it looked beautiful and if we hadn't had the storm we might not have had the beautiful sunset we had either (and storm clouds look great in photos anyway!). The boys got ready at the French Quarters and the girls at a penthouse suite in the Noosa Sheraton. The celebrant was Stephanie Neal and the reception was at Rickys Restaurant...oh and their dog was the ring bearer! 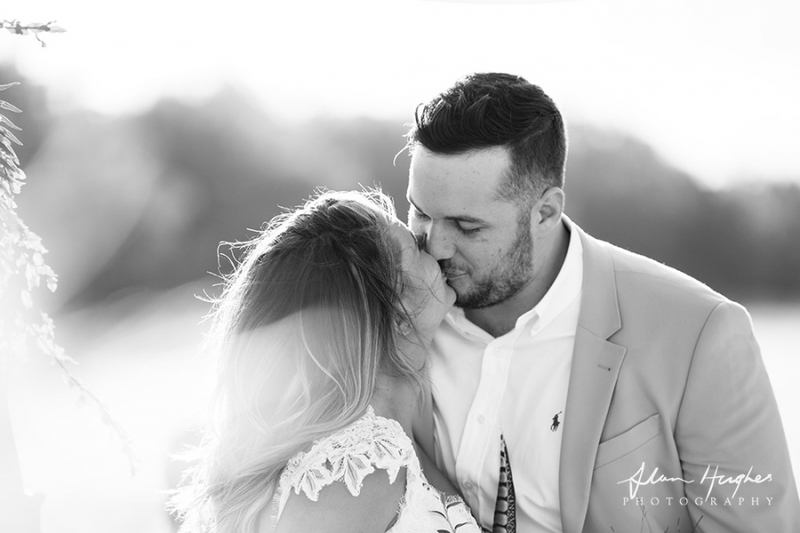 From when I met Lori & Julius before they booked me at the consultation through the pre-wedding photography session I knew they were a great couple and their wedding was going to be one I was going to particularly enjoy - and i was right. 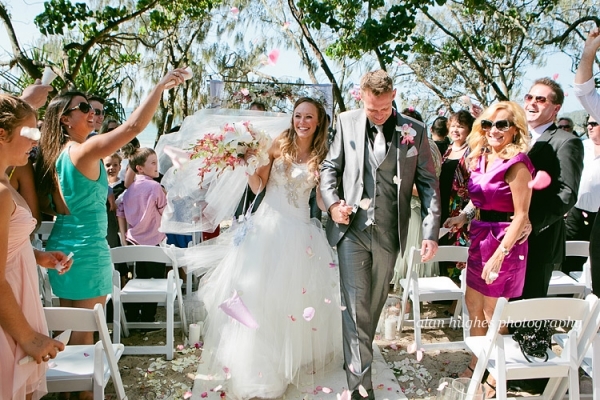 Surrounded by a wonderful group of friends and family their wedding day in Noosa was a great day full of laughter, love and tears. 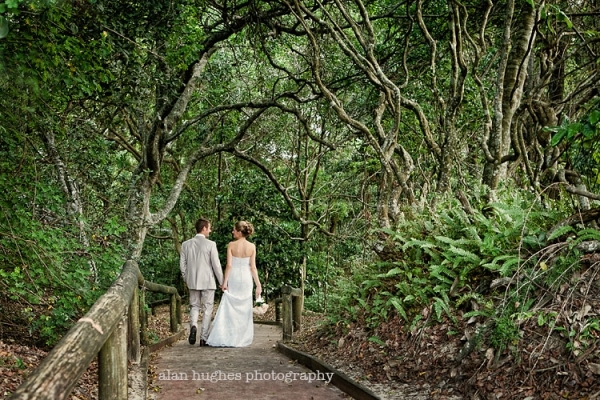 The wedding ceremony was at Hidden Grove, with photos on the Noosa Main Beach there and along Hastings Street. 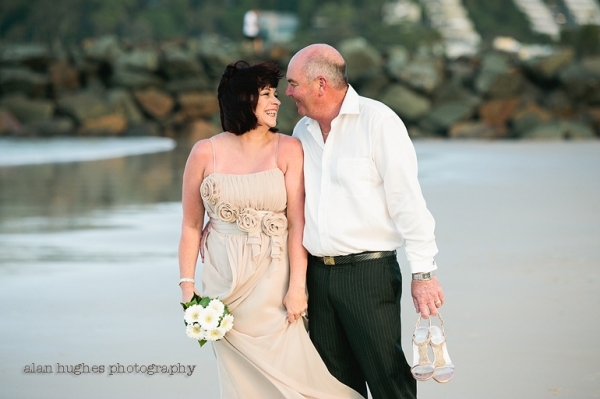 The reception was at The Boathouse Floating Restaurant along Gympie Terrace. Congratulations to the both of you, I wish you health and happiness together forever. 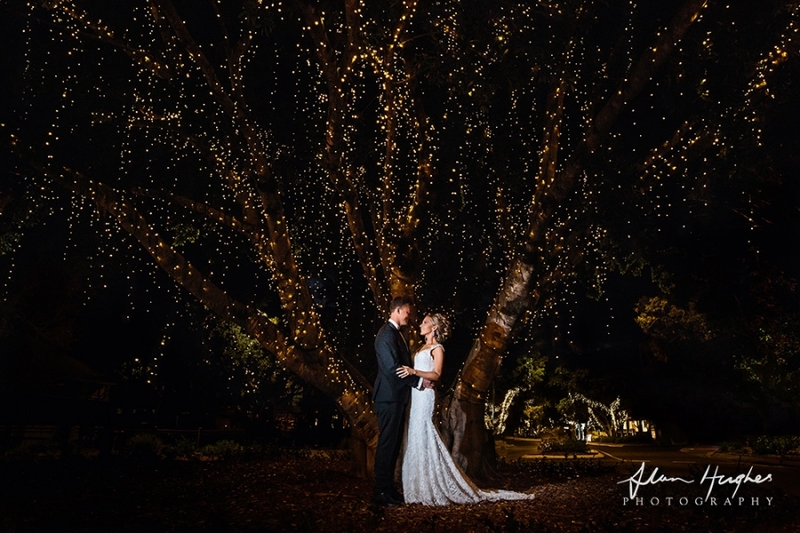 Thank you for having me along, allowing me to capture your special day. 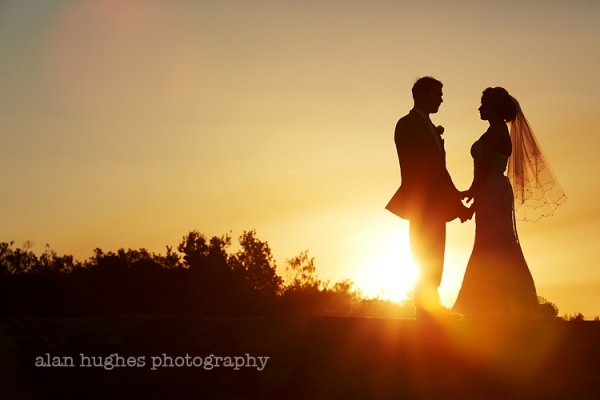 This is the full blog post for Lisa & Richard's Little Cove, Noosa wedding from a couple of weeks ago. 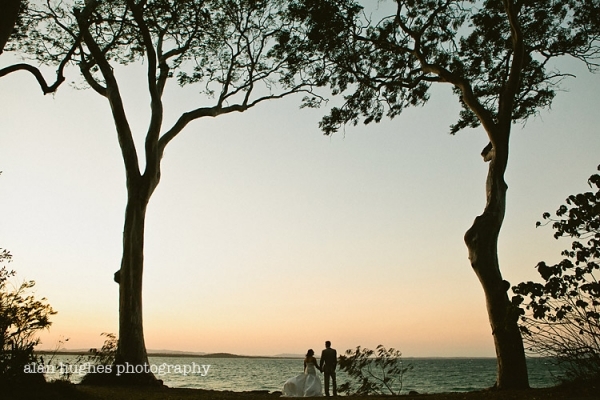 A wedding on the beach in Noosa with beautiful sunshine and a couple in love....perfect!